School board members voted to impose an indefinite delay on opening of the newcomers high school at Eastside High School. District officials had hoped to open the school to serve 200 students, mostly new arrivals from the Dominican Republic, in the 2019-20 school year. However, the budget crisis placed the proposed program, which had a price tag of $2.3 million, on the chopping block. District officials scaled back the proposed new high school by cutting it in half, said deputy superintendent Susana Peron, reducing the price tag to $700,000. “We drastically cut staff in half,” said Peron. She said the scaled back program would serve 50 to 100 students. The district identified $387,000 in federal and $500,000 in local funding for the program. Peron argued there’s a need for the program. For example, she said 36 English language learners dropped out of school. “We’re losing students,” said Peron. But school board members are under pressure to make cuts to close the budget gap. Board member Emanuel Capers introduced a motion to cut the proposed high school and the elementary newcomers program in place at School 15 and the New Roberto Clemente Elementary School. Elementary program costs $1 million to run. “We just can’t afford it,” said Capers. 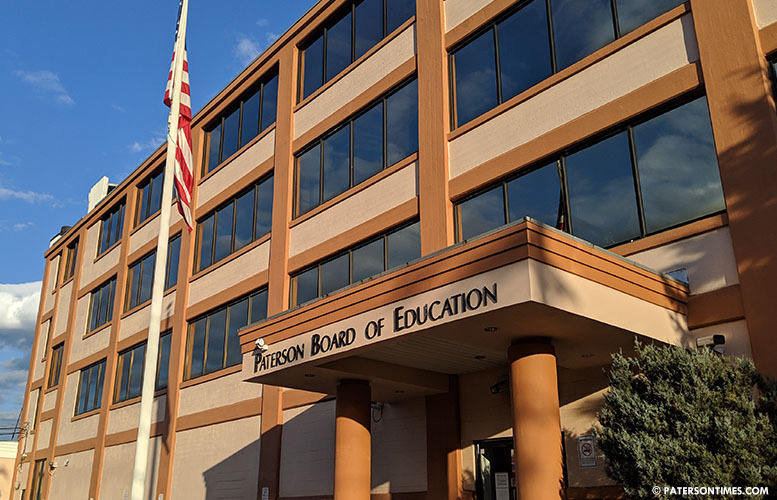 The district is facing a $22 million budget shortfall and is contemplating laying off 209 employees, including 150 teachers. Capers received immediate push back from board members Manuel Martinez and Oshin Castillo. “So cut the new one and the old one? Wow,” remarked Martinez. “I’m looking at everything,” replied Capers. The clash over cutting the newcomers program took on a racial overtone with black members against it and Hispanic members for it. “These are students that not only do not know the language, but are also behind in their native language. So, they get instruction in their native language so they can catch up to their grade level,” said Castillo. She said the students in 3-8 grades are also provided “intensive English” instruction. Capers proposed implementing a program to take non-English speaking students out of classes and provide instruction in their native language. “That’s how it used to be,” said Capers. “That’s ESL [English as a second language]. ESL students are up-to-date in their native language. So, they are up-to-date academically in their own country,” replied Castillo. Capers modified his motion to keep the elementary newcomers program and delay the opening of the high school. Castillo pointed out the district has spent $14,000 on recruiting teachers, who are bilingual, ESL, and content certified for the high school. “We went to great lengths to find teachers,” said the president. Some worried the new high school will be rolled out badly, like the all-boys school some years ago. “I don’t like what’s happening with the high school newcomers program. I worry about whether it’s going to be appropriately designed given the funding,” said longtime school board member Jonathan Hodges. Martinez said the non-English speaking students are an “easy scapegoat.” He took offense at the proposal to eliminate the elementary newcomers program. “We’re all losing. We can’t do what we need to do if we’re fighting amongst ourselves for pennies,” said Hodges. He said other ethnic groups feel “shortchanged” for lack of programs at the district. “It’s not about race. It’s not about ethnicity. We’re talking about dollars and cents,” said school board vice president Nakima Redmon. The school board voted 6-2 to delay the newcomers high school. Capers, Hodges, Redmon, Kenneth Simmons, Eddy Olivares, and Manny Martinez voted in favor while Robinson Rondon and Castillo voted against. Easy, take the $64,000,000 forcharter schools , which should be going to public schools anyway and the problem is solved. You don't lay off anyone, there's money for supplies and new staff and even a surplus. WHAT!?!? !, Did I just read this right? Build a school for Spanish speaking students only, totally absolving parental involvement in any teaching or spending time with their kids learning the language of OUR land. What's next, building a school for only the physically gifted? Or students with straight A's. Or let's take it a step further, build separate schools for blacks, Spanish, Muslim, jamaicans etc….. This type of consideration and mindless decision making stems from unqualified elected officials using the BOE as a mere stepping stone seeking higher office. Its disgusting. Why don't they propose something 100,000 times cheaper, we just purchase Rosetta stone for everyone that doesn't think learning the language of OUR land is that important. IF THEY PUT EQUAL EFFORT IN LEARNING ENGLISH AS THEY DO RENAMING OUR STREETS TO MOSTLY INDIVIDUALS THAT HAS NEVER STEPPED FOOT ON AMERICAN SOIL, they'd probably learn English in a weekend. Oh I so agree with you. When I first read this I was thinking along the same lines . Love reading good comments, let keep the conversation going .